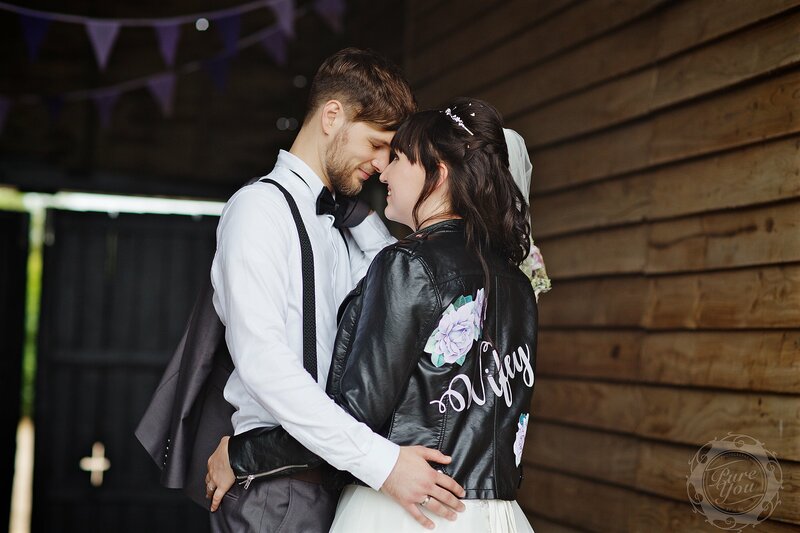 Elly and Dean got married in July at the gorgeous Upwaltham barns, which is a quirky barn in West Sussex. 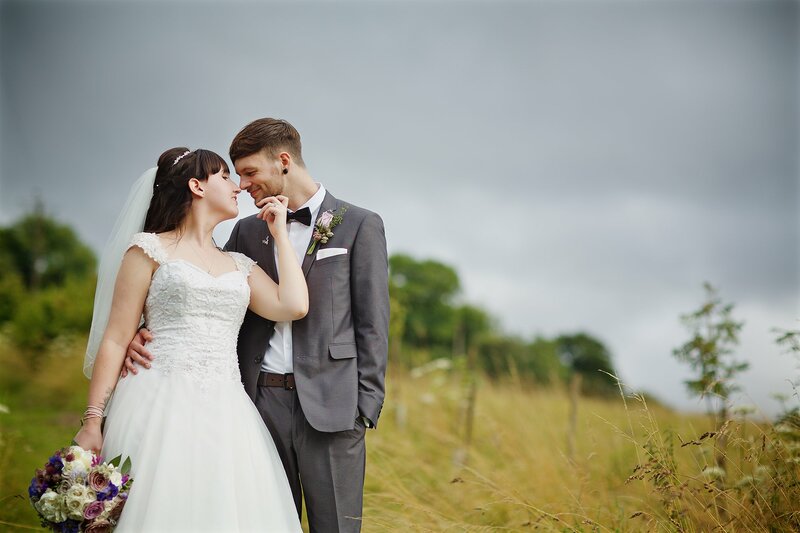 It was the most beautiful wedding and even the rain didn’t dampen the day! Elly got ready in Jasmine Cottage with her sister and few bridesmaids, and the atmosphere was so relaxed. She then walked the short distance to get to the ceremony. Dean got ready at home with his friends. The groom travelled to the ceremony in a fancy wedding car. The ceremony was a legal ceremony in the East Barn. During the ceremony they had a beautiful reading. It was so emotional and so unique. The reception was in the South Barn at the venue. 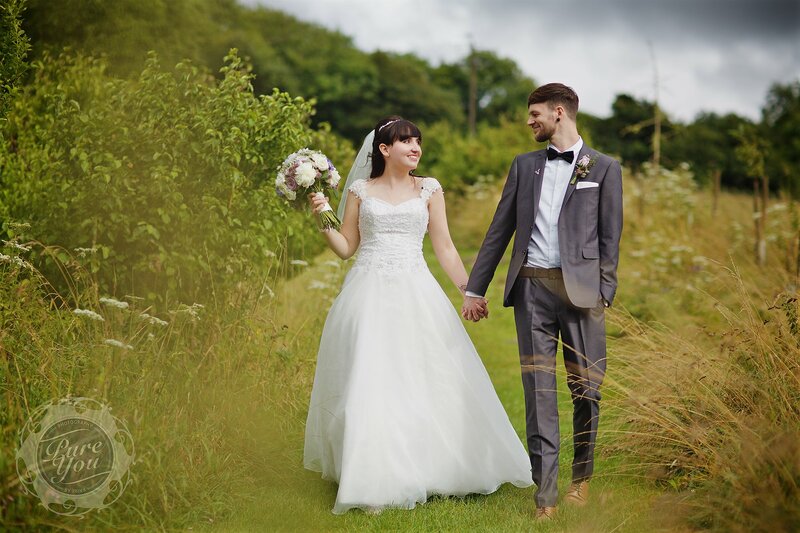 They chose Upwaltham Barns as it was just the dream venue. Beautiful setting, lovely staff and the Honeymoon Cottage was beautiful too! The venue made the day truly magical. The styling of they day was vintage inspired with an alternative edge. The tables were called they favourite band names, they had Elly’s Dad’s rock band as they evening entertainment and they put temporary tattoos in the children’s favour bags. They also walked out of the ceremony to Dean’s favourite pop punk band, Blink 182! So it was classic and vintage with an edgy hint. Just perfect really! The best part of the day was the speeches, because it was so romantic and personal. 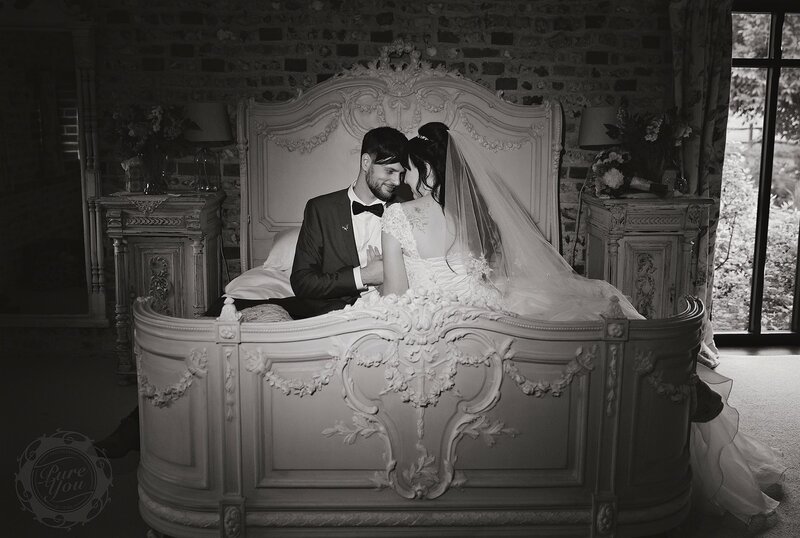 The couple says that if you’re planning your wedding, the biggest piece of advice they could give you is to enjoy every moment of planning the wedding. The day goes by so fast and it all feels like a bit of a blur. Afterwards you’ll sit there and wonder where the time went! So yes, enjoy every moment of the day and the build up to it as it will be the best day of your life. Elly and Dean’s wedding was so much fun and so laid back. 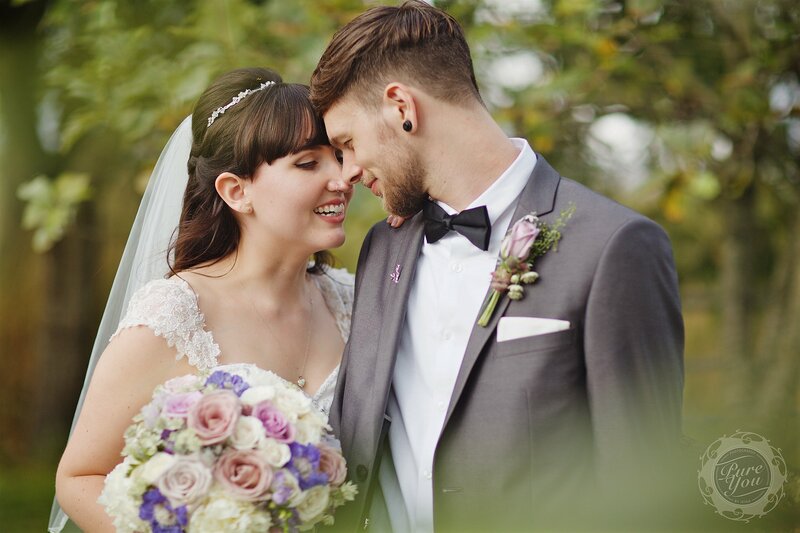 Here’s their wonderful elopement! 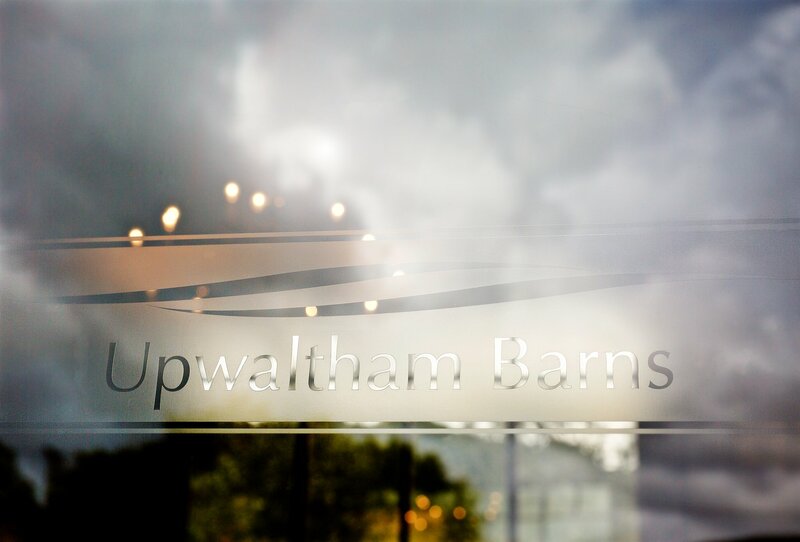 If you’re planning a Upwaltham barns wedding, GET IN TOUCH! 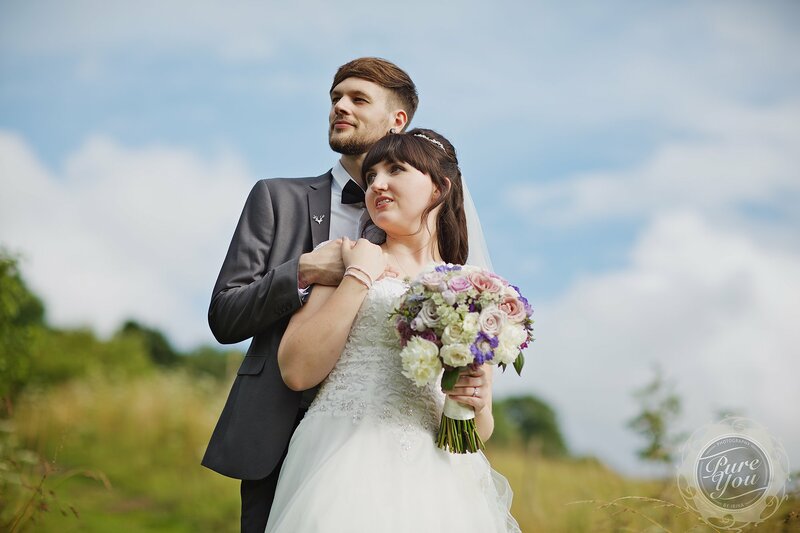 ***** Couldn’t have asked for a better photographer to capture our special day back in July. 100% recommend Irina, she’s absolutely lovely and incredibly professional. The photo presentation box with USB stick is the perfect keepsake from our wedding, we absolutely loved every single one of our photographs.